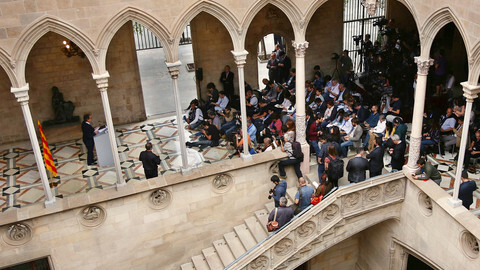 Pro-independence parties won a majority of seats in the Catalan parliament in Sunday’s (27 September) election, giving them a mandate to try to break away from Madrid. 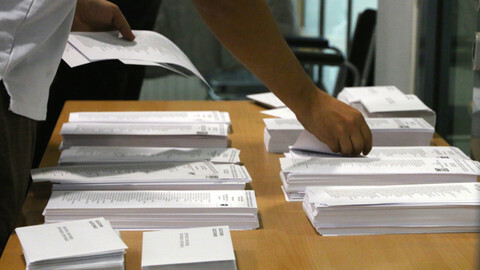 The secessionist coalition of political parties and civil society groups, Junts pel Si, together with the radical left-wing party CUP, obtained 72 seats in the 135-seat assembly, four more than the 68 needed for an absolute majority. “We have a clear victory. We will organise the government such that we can fulfil our roadmap,” said Catalan President Artur Mas as the results became clear. 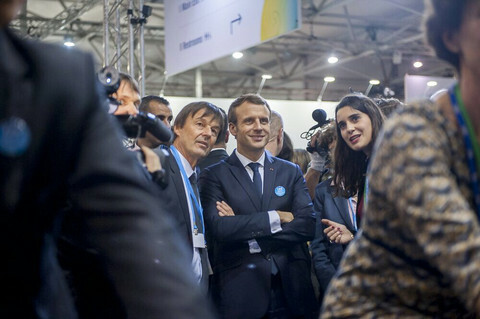 “This is a victory that we will administer with cohesion and concord - with a respect for everybody, with respect for Spain and with respect for Europe”, he added. 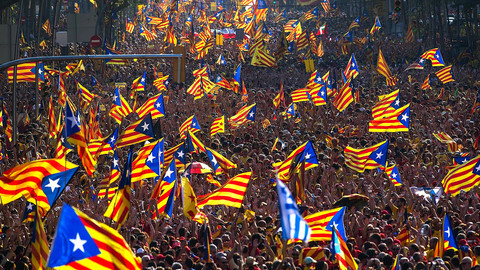 Junts pel Si have said they will begin by building a state structure and aim to declare independence within 18 months. A large crowd of supporters in favor of independence gathered in the centre of the city where Junts pel Si held their election night meeting. When the first exit polls came out they started singing the Catalan national anthem and chanting refrains of independence. 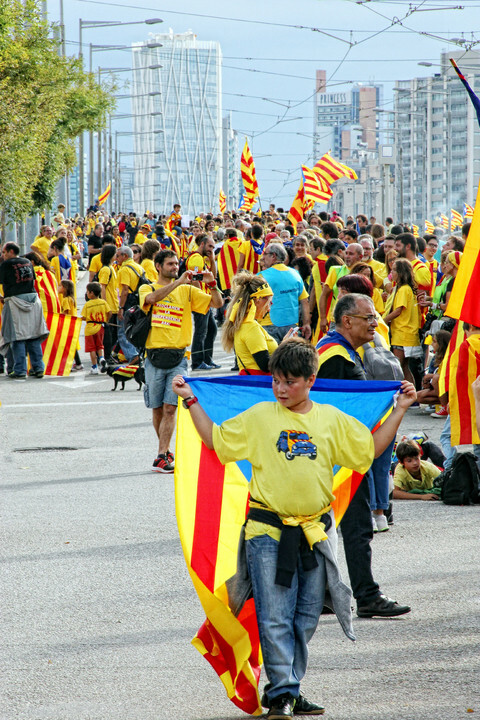 However, the pro-independence parties gathered only 47.8 percent of the direct vote - something the main opposition party, Ciutadans, was quick to point out. Ciutadans’ leader in Catalonia, Ines Arrimadas, on Sunday night demanded Mas’ resignation and for a new election to be held “that include parties and programs, and not coalitions”. She said: “Today has shown that the majority of Catalans have turned their back on Artur Mas”. Her party almost tripled its seats from nine to 25 in the regional parliament. “I think it’s ironic that those who didn’t want us to hold a referendum, now demand that votes and not deputies are counted”, Mas said late on Sunday. Pro-independence parties and groups in Catalonia have for the last few years pushed for a vote on independence, but Spain’s central government has said it is against the Spanish constitution. 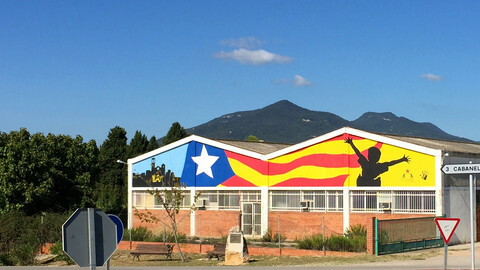 The Junts pel Si then came into being as a political alliance turning the Catalan regional election into a plebiscite on independence for Catalonia. However, the alliance and CUP have some differences in the area of social policies and on the speed of the roadmap towards independence. 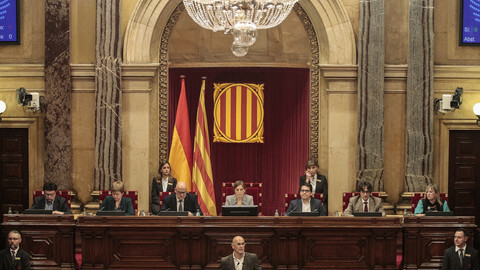 The political formations will meet on Monday morning to consider their next steps together, said Raul Romeva, a former green MEP, who heads the Junts pel Si list. Spanish Prime Minister Mariano Rajoy and his government have repeatedly said they will block any attempt to break away from Spain in court, and that in case of a referendum on independence, it should be the whole of Spain that should vote on the matter. 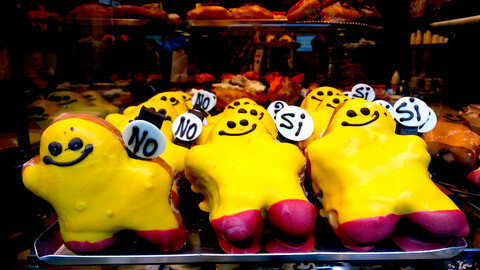 With the Spanish general election coming up in December this year, Spanish political leaders were quick in replying to the outcome of the election. “We have a fractured Catalonia” said Spanish opposition leader, socialist Pedro Sanchez, adding that he would immediately start working towards “healing” the region. Pablo Iglesias from the far-left Podemos party said “Spain needs a president that can listen to the Catalans and I want to be that president”. Sunday’s voter turnout was an all time high at 77 percent, compared to 67.8 percent in the 2012 elections. The European Commission is investigating a translation incident, which saw the Spanish version of an English response from Jean-Claude Juncker grow by a 9-line paragraph, stating that a regional parliament cannot decide on the fate of its territory. Catalans will head to the ballot box on Sunday in a regional election that has become a de facto referendum on independence from Spain.